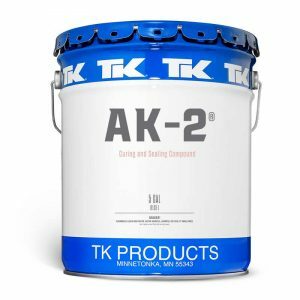 TK AK2 Concrete Cure and Seal for Residential Applications. AK-2 is the ideal concrete cure and seal for residential sidewalks, driveways, garages, and patios. AK-2 is a solvent-based, 25% solid, clear, acrylic copolymer resin and fast-drying aromatic hydrocarbon that delivers the industry’s best moisture retention.